Your first impression will be WOW! 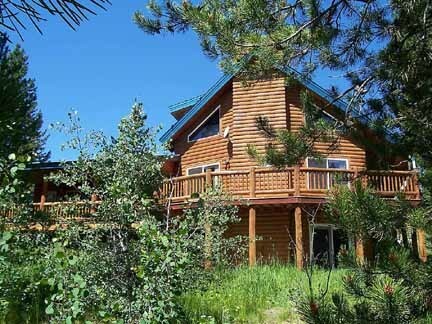 Space, convenience and style take on a whole new meaning in this impressive 4 bedroom, 4 bath log sided 3482 sq ft home located on a private 1 acre wooded lot with dock privileges to the Island Park Reservoir. Large master bedroom has a cathedral ceiling, jetted tub, and walk-in closet. Kitchen has new appliances and granite counter tops. Two river rock fireplaces, security blinds, 2 car stall garage that is fully insulated and heated, and covered boat storage attached. Covered entries in the front and back. Hot tub stays. Must see to appreciate. Winter access. Possible vacation rental property. See list in file for furniture that is included.